I don’t run with the bulls, and I don’t do black Friday. If I had to choose, I’m thinking running with the bulls would be far more thrilling. Next Tuesday is a “me” day. I am taking a long road trip to Southport to winterize the RV. I love a long road trip alone. It will be about 8 plus hours’ road time. I had planned to use the RV the past couple of months, but we had no idea of how intense Gigi’s recovery would be. So far she hasn’t traveled very long distances in the truck. 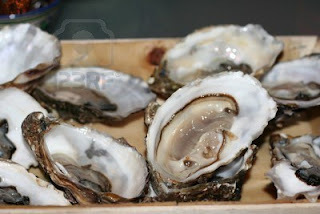 I have reserved a bushel of Lockwood Folly cluster oysters for a friend, and a peck of Whitesville inlet individual oysters for my personal consumption. I’ve been eating the Lockwood oysters but decided to give this other local NC variety a try. I’ll pick them up at nearby Oak Island on Tuesday. I can imagine I’ll settle in front of my outdoor fireplace Wednesday evening with pairing drink, and have a few oysters on the half shell. I might steam them “Phfrankie Style” by placing them on the hearth. The oyster wins the award for simutaineously being the most hideous and deliciously sublime food.